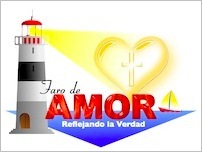 Lighthouse of Love: Mondays, 6:30 P.M. Spanish Language Ladies’ cell group. Currently meets at the church. Leader/Director: Angelina Whitehouse. 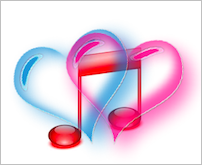 Love Song: First and third Tuesday each month, 7:00 P.M. Cell for building up our marriages. Bilingual (though has been mostly Spanish). Meets at the home of Luís and Mari Gutierrez, 2305 Wildflower, Edinburg. Leader/Director: Tom Whitehouse. DivorceCare: Wednesdays at 5:30 in Church, encouragement and spiritual growth for those who have lost their partner through separation, divorce, or widowhood. Bilingual. Meets as required by people's needs. Director: Mari Reyes. Nursing Home: Every other Sunday: Music and Bible Study at 3:00 P.M. Edinburg Nursing and Rehabilitation Center, 5215 South Sugar Road, Edinburg. Leadrer: Andrew Almaguer. Jail Ministry: One Sunday a month. Preaching the Gospel at various male, female, and youth detention facilities in the area.